You may play this ship at your Earth. 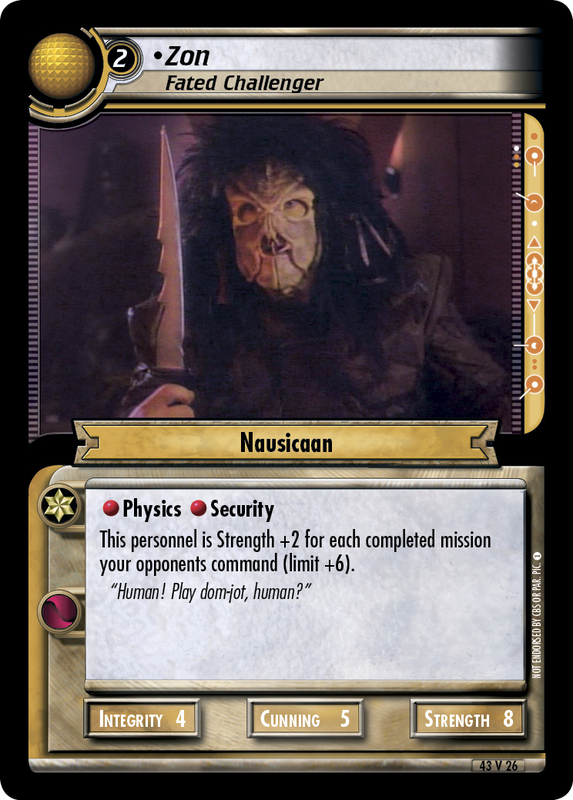 At the start of your first turn, if you command Earth, you may reveal this card from hand to make each player draw a card. 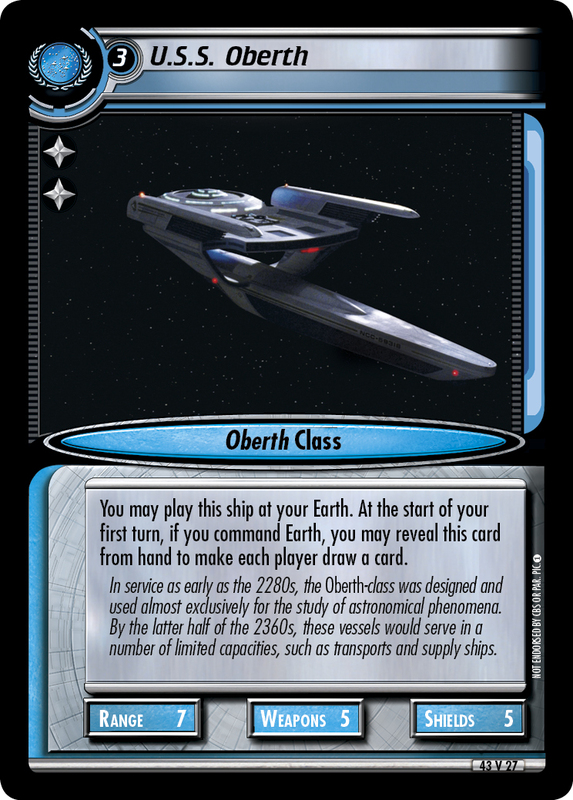 In service as early as the 2280s, the Oberth-class was designed and used almost exclusively for the study of astronomical phenomena. By the latter half of the 2360s, these vessels would serve in a number of limited capacities, such as transports and supply ships.